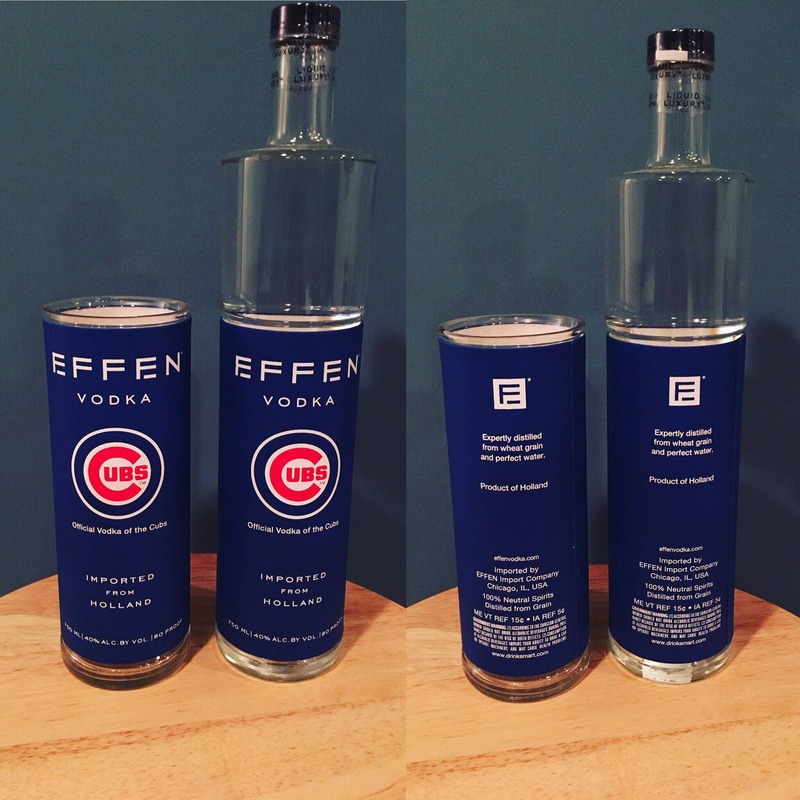 You are purchasing a tall glass made from an empty Limited Edition Chicago Cubs Effen Vodka 750ml bottle. Cut and sanded for your future drinking enjoyment. Full bottle only shown in picture for size reference.